A home remodel is something that needs to be taken seriously. At L.E. Burgess Remodeling & Renovation, we understand that your home is valuable and we want you to be satisfied with your remodel. A successful remodeling contractor not only provides more functionality and convenience from your project, but also adds significant value to your home and property. 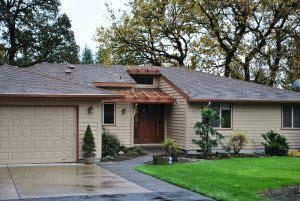 As one of the top home remodeling services in Vancouver, WA, we promise fantastic customer service and unrivaled work. We provide all sorts of remodeling services, from bathrooms to kitchens to exterior work, and we promise to work personally with you to ensure your remodel suits your unique needs. The L.E. 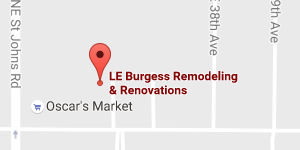 Burgess Remodeling & Renovation office is located in Battle Ground, WA, but we service the entire Clark County area, including Vancouver, Washougal, Ridgefield, Amboy, and Yacolt. We have worked for years to provide local residents with quality, affordable remodels that can turn their homes into the dream homes they deserve. If you live in the area and are considering a remodel on your entire house or simply a couple rooms, give us a call and we can discuss your options today. Our small staff is well-trained and knowledgeable, meaning you can expect excellent work no matter the project. Our employees are friendly and honest, and will work with you every step of the way. The work we do at L.E. Burgess Remodeling & Renovation is completely custom, and you can rest assured knowing that your project is unique and individualized. If you are considering remodels in your home, kitchen, or bathroom, contact us today. Our experienced staff will work with you, give recommendations, and provide answers to any questions you have. Give us a call today! L.E. Burgess Remodeling & Renovation is one of the leading remodeling contractors in the Vancouver, WA area. Our work is unrivaled in quality and execution, and our knowledgeable staff is well-trained in a variety of different projects, meaning you will come away satisfied with the job. Our services include complete home remodels, kitchen remodels, bathroom remodels, and cabinetry remodels, as well as various forms of exterior renovations. 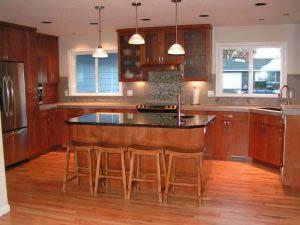 If you are need of a remodeling contractor Vancouver, WA for work around your home, contact L.E. Burgess and we can get started right away. Our home remodels include additions and renovations. We can turn a tired old home into something new and secure in no time. As a leading remodeling contractor Vancouver, WA, we work with you every step of the way to ensure you are getting what you want out of the project. A remodel can add a lot of value to your home, and we work hard to give you the best value possible. For kitchen and bathroom remodels, we can work within confined spaces or work to give you additional space as needed. We can a variety of different layouts, and also completely replace any cabinetry you want redone. We use only the highest quality remodeling products, ensuring the work will last for years and continue to provide comfort and value to you and your family well into the future. Our work can turn an old kitchen into the new family gathering area, or an out-of-the-way bathroom into something more relaxing and elegant. Call us today and get your project started now. For exterior work, L.E. Burgess Remodeling & Renovation can do a complete overhaul or simply a few smaller areas to touch up your home. As remodeling contractors, it is in our best interest to perform to the highest standard we can, and making sure your home exterior is at a quality level is only part of the work we offer. Our friendly and honest staff will provide you with the best of service, and we know you will be satisfied with the work we do. Give us a call today! Contact us To Get Your Home Inspection Started! © 2019 L. E. Burgess Remodeling & Renovations. All Rights Reserved.